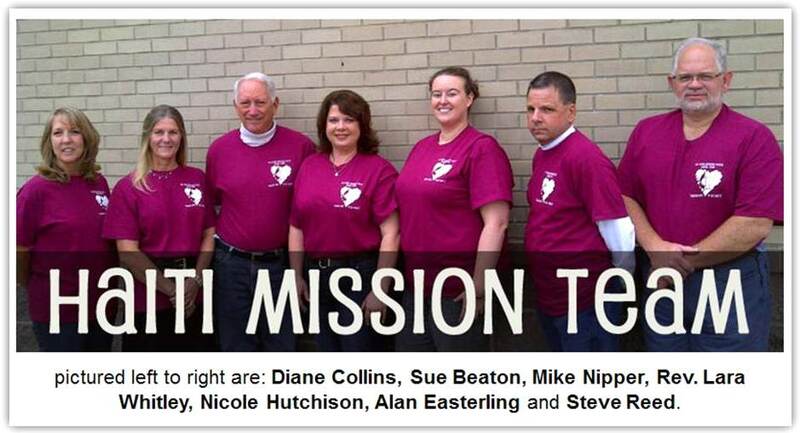 The team, which departs Wednesday, Oct. 10 and is scheduled to return Oct. 19, includes Rev. Lara Whitley, Alan Easterling, Nicole Hutchison, Sue Beaton, Steve Reed, and Diane Collins from FUMC Joshua and Mike Nipper from Genesis. For co-leaders Alan and Nicole, this is their second trip to Haiti in 13 months, and it’s Rev. Lara’s third journey to the impoverished nation since October 2010. Please pray for these and all our CTC brothers and sisters involved in mission projects around our communities and the world. To follow the team's progress, visit www.joshuaumc.net and "like" the church's Facebook page at www.facebook.com/FirstUMCJoshua.